Steinberg Skating Rink is the largest outdoor ice skating rink in the Midwest. 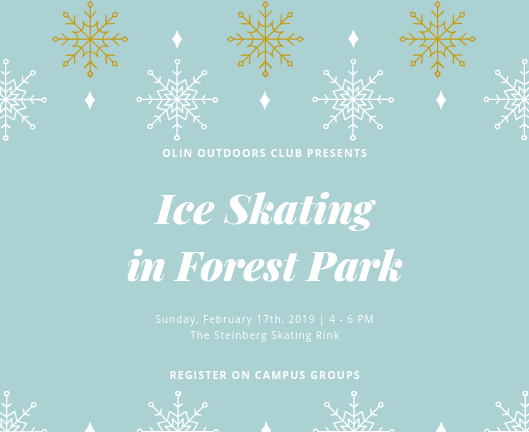 Outdoors Club invites you to enjoy some fresh wintertime air in Forest Park. You can bring a +1 because after all, it is Valentine's Day weekend!